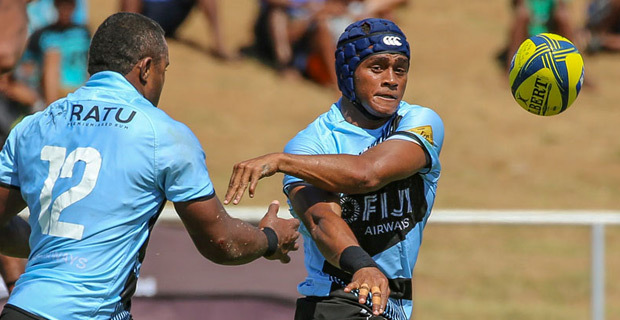 Fiji Airways Drua skillful fly-half Alivereti Veitokani has been nominated for Australia’s National Rugby Championship Rising Star Award. Veitokani if named again to play for the Drua in this weekend’s game against the Western Force in the last round of the NRC before the finals will have to prove his worth for the award. He is amongst 5 other NRC Players vying for the award including Andrew Deegan from the Western Force, Jock Campbell of the Queensland Country, Archie King from the Melbourne Rising, Darcy Swain from Canberra Vikings and Jack McGregor also from the Western Force. The last nominee will be picked after this weekend’s round of the NRC. Veitokani having scored four tries in six games is also on the highest tally in metres run in the competition. The Drua will take on the Western Force at nib stadium in Perth at 6pm this Saturday.